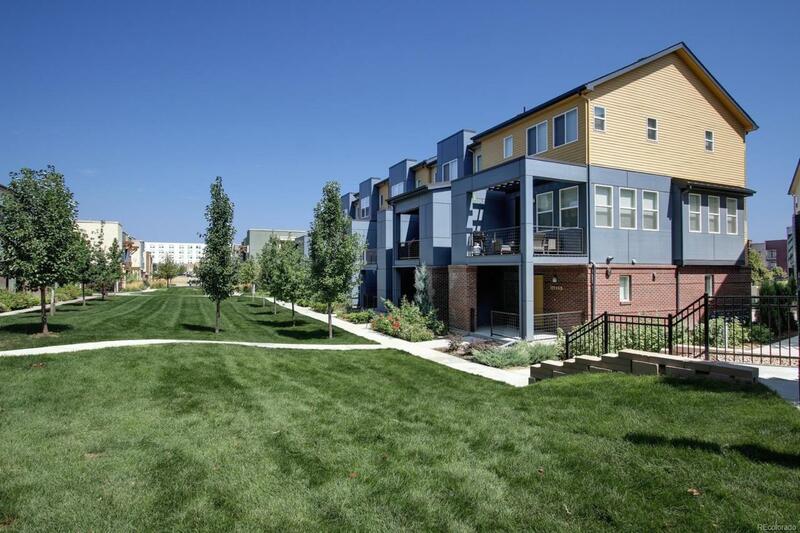 Stunning townhome that stands out from the crowd! 2 BR, 3 BA contemporary, urban style with a sophisticated flair & upscale designer finishes in popular Venue @ Arista. Desirable interior location facing pocket park. Open, modern concept with stylish laminate wood flooring, gourmet kitchen showcases upgraded cabinets, large island, stainless appliances and slab granite. Decorator lighting, two fireplaces, suspended storage cabs, high end W/D & refrigerator enhance this classy home. Spacious Master suite offers walk in closet & extended shower; second BR, full BA and laundry on same level. Mechanical room smartly converted to office. Inviting patio designed for privacy. Immaculate and better than new! Two car attached garage with direct access. Arista offers a vibrant metropolitan town center with a fun vibe, featuring dining, shopping, parks and entertainment within walking distance. A perfect lock n leave opportunity. RTD Park n Ride onsite - minutes away from Boulder and Denver! Offered by Kiefer Team Real Estate.